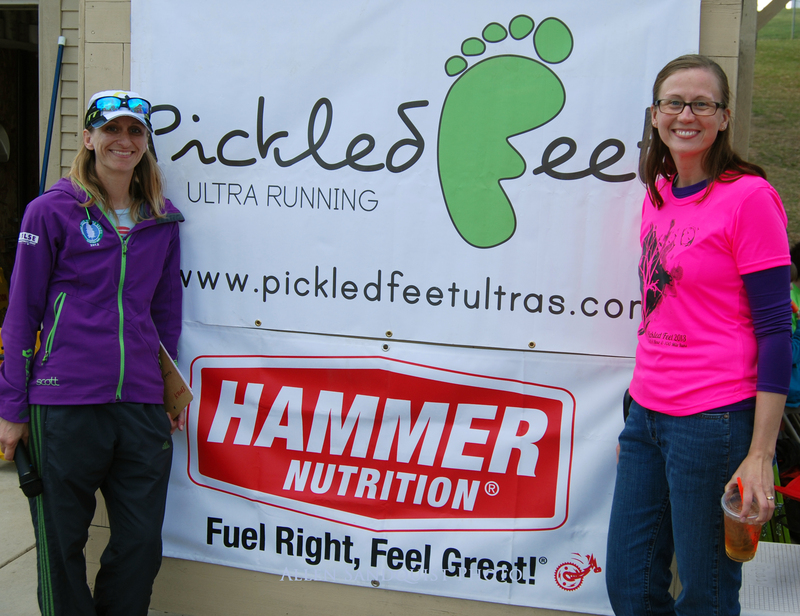 On March 29-30, 2013, Pickled Feet Ultra Running hosted the second annual Pickled Feet races on the essentially flat dirt trails at Eagle Island State Park about 8 miles west of Boise, Idaho. Contrary to weather that would normally be expected at the end of March in Idaho, the race weekend radiated with sunshine and dry warmth, albeit downright chilly just before dawn for the 24 Hour and 100 mile runners. 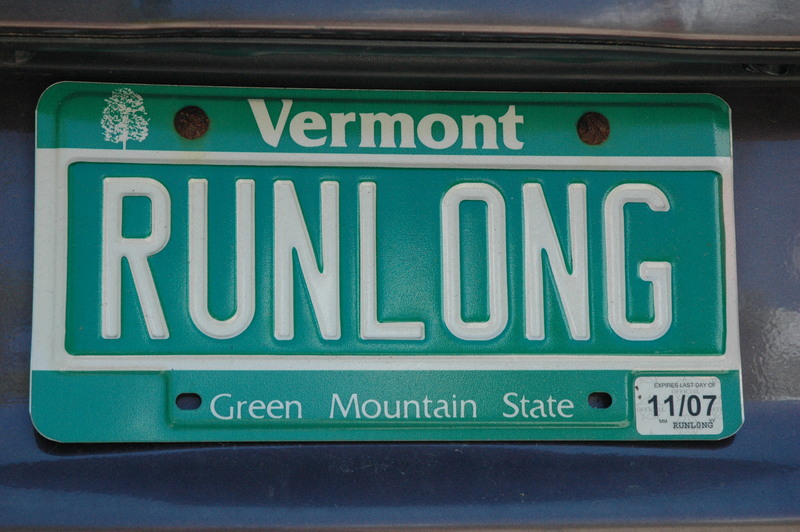 Last year’s event hosted 31 runners in 12 and 24 Hour events. This year, we added a 6 Hour and a 100 Mile, with Day or Night options in the 12 Hour. 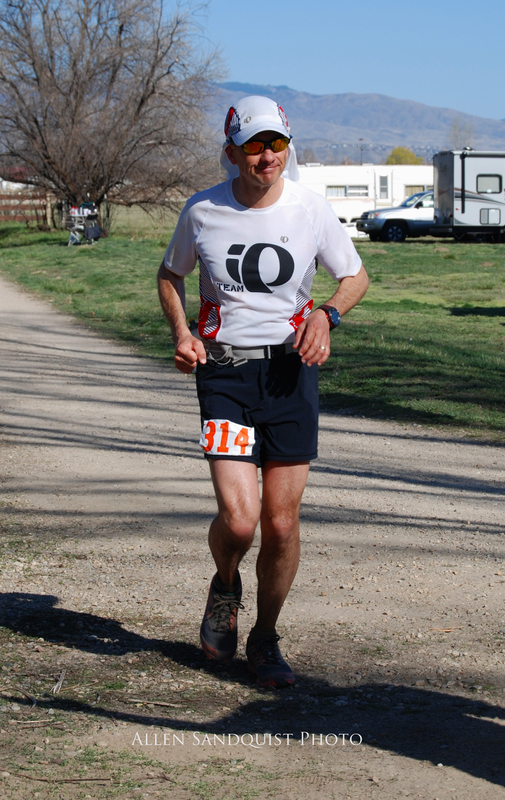 Thanks to our stellar venue and unparalleled support from Idaho’s Eagle Island State Park, this year we hosted 95 runners from 15 states and one province in the 4 events (6/12/24 Hour & 100 Mile) with ease. 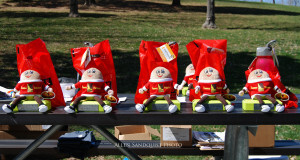 First place awards, Spuddy Buddies from the Idaho Potato Commission. Runners made themselves at home in their own tents and canopies and RVs or made use of the spacious event tent provided by the race to set up their gear. Access to the top-notch aid station in the covered pavilion along with the park’s bathrooms came every 2.5 miles. Pizza was served at midnight and breakfast burritos were served once morning dawned, along with a couple rounds of popsicles in the warm afternoons and Starbucks coffee for the duration. A bountiful Panda Express Chinese food buffet satisfied all of the runners, families, and volunteers late in the afternoon as the race was ending. 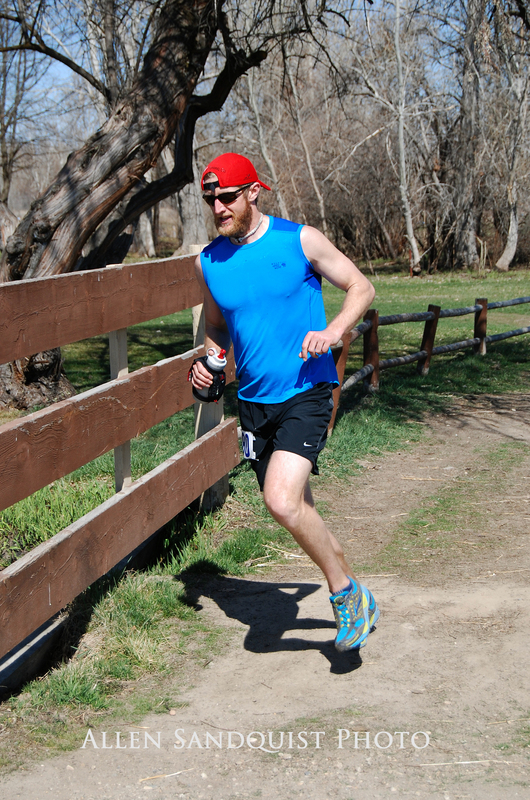 The Pickled Feet race consists of a dirt 2.5 mile loop around the park, bordering the beautiful Eagle Island pond and the Boise River on a combination of soft dirt trails and hard packed dirt road. For the last hour of each of the timed races, runners have the option of maximizing their mileage by accumulating miles on a separate .3 mile asphalt loop. Both loops are USATF certified, with the big loop measuring exactly 2.5 miles, meaning the 100 mile is a true 100 mile course. Hundred milers complete 40 laps of the course with a generous 32 hour cutoff, making it a very accessible race for runners who cannot navigate extremely mountainous or technical courses with difficult cutoffs. 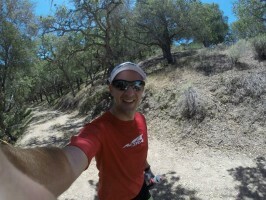 John Scott feeling fresh early in the 100 Mile. 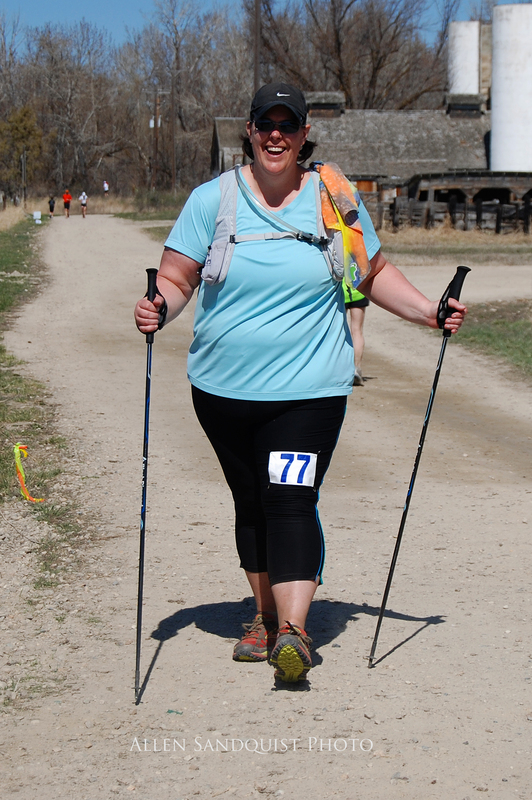 Michelle Anderson on her way to completing 50 Miles. All runners received nice tech tees and packets, and all finishers received laser engraved Pickled Feet medals. Post-race, all runners achieving the designated ‘milestones’ for each event get custom printed clothing items (with name and mileage), with personalized buckles going to the 100 Mile finishers and 24 Hour runners who hit 100 or more miles. 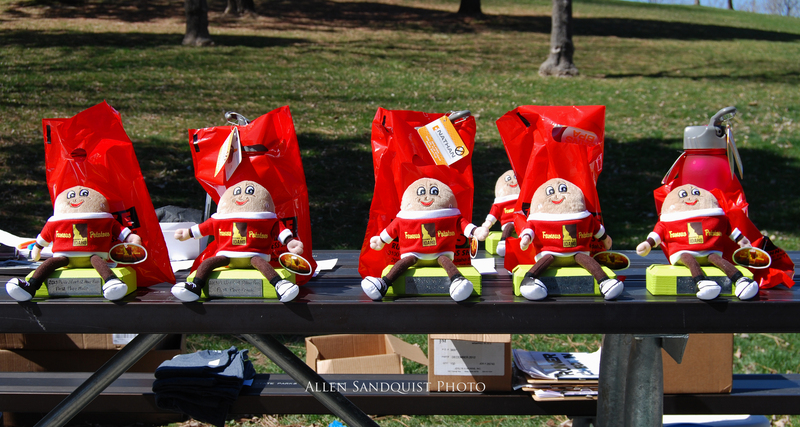 Top finishers in each event received the Idaho State Champion designation with a plush “Spuddy Buddy” potato trophy (courtesy of the Idaho Potato Commission) and a prize packet from The Pulse Running & Fitness in Meridian, Idaho. Two runners received the race directors’ prerogative awards: Baked Potato (Jeff Black for his repeated revivals and continuations) and Hot Potato (Gary Holloway for upgrading on race day from the 12 hour to the 100 mile and finishing with a smile). 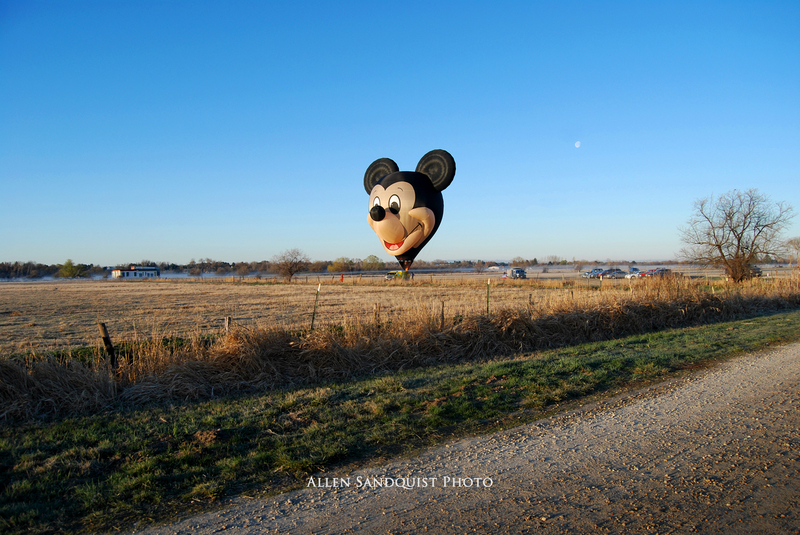 A highlight of the race was when two hot air balloons launched in the adjoining field. The race was exceptionally well-organized and efficient, from the information on the website to packet pickup to last minute details. There were great people here – the race directors were extremely helpful, all of the volunteers were wonderful, and the other runners and walkers were amazingly supportive and friendly. 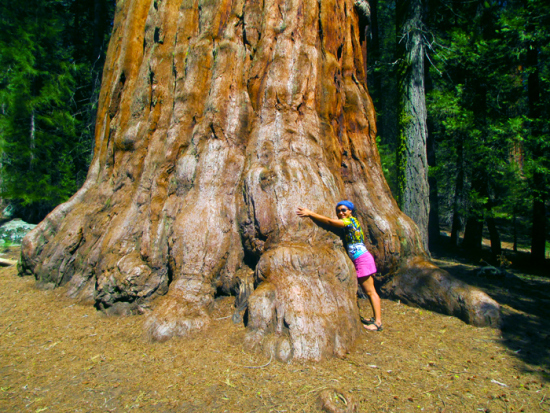 I think there must be a test for cheerfulness in order to move into Idaho. Everyone we met – at the hotel, in stores and restaurants, at the airport, and at the race itself – was polite, helpful, and gracious. Maybe it is the beautiful setting or something in the water, but it sure was great to be surrounded by such terrific people. I hope to return to Idaho to race here again. The wide selection of race options meant there was something for everyone; there was even a 6 hour option for people who only wanted to spend a short time on the trail. The course was well-marked and fairly flat (but watch out for those rocks!). Food and drink were plentiful. Indoor restrooms were a blessing. The host hotel was convenient and inexpensive. Bad things about this race: Nothing, really. 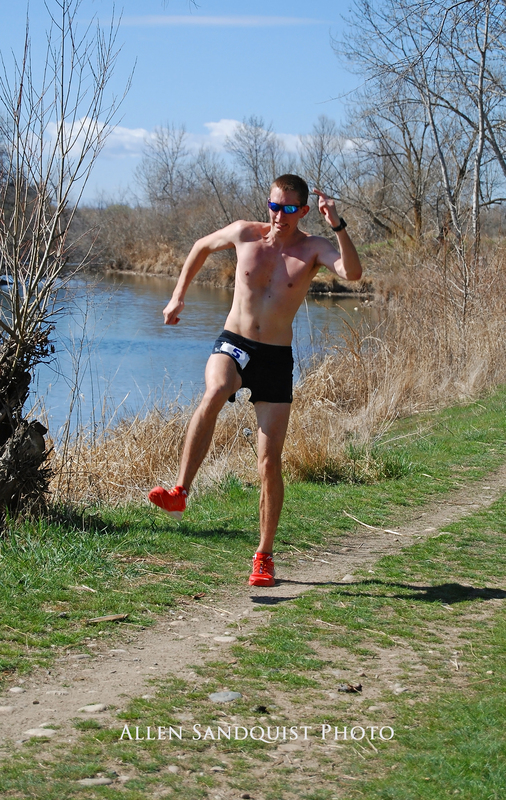 Jake Renz on his way to winning the 100 miler. 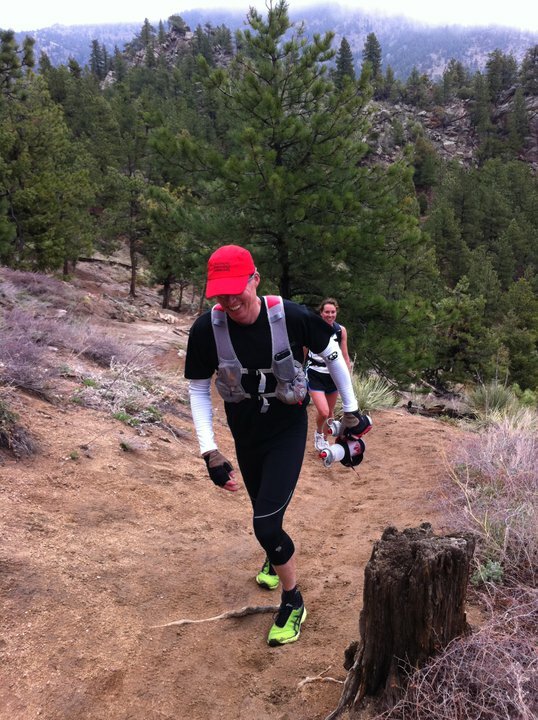 Tony Huff on his way to winning the 24 Hour with 117 miles. 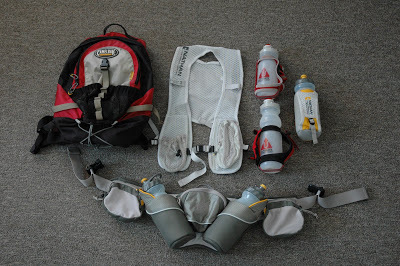 This race is part of the Scott Sports Idaho Trail Ultra Series lineup, and all runners received schwag from Scott Sports. We also had a tremendous raffle and other support provided by our sponsors: The Pulse Running & Fitness, Scott Sports, Hammer Nutrition, Blessing Plumbing, Richard Marion of ProRace Timing (for providing automated chip timing and unparalleled technical genius for 32+ hours), Allen Sandquist Photography, Springhill Suites by Marriott, Sign Hype, Eagle Island State Park, The Idaho Potato Commission, Rolling H Cycles in Nampa, The Cascade Project, Dennis Ahern Woodworking, Mark Colton of Planet Tees in Nampa, Epi Saldana laser engraving, Jeremy Jackson of Double J Ironworks, and Starbucks Nampa. 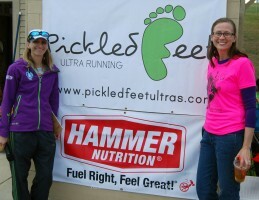 Check out Pickled Feet Ultra Running at www.pickledfeetultras.com. 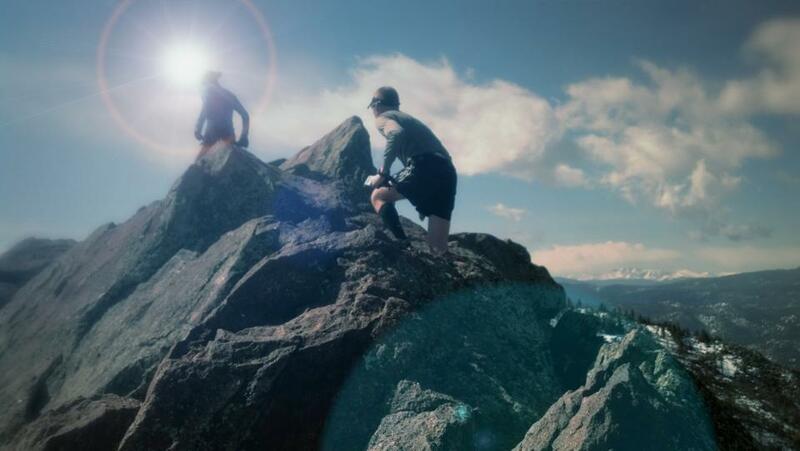 Next up is the Silver City Endurance Runs on June 22, 2013 (100, 55k, 30k), mountainous courses about 2 hours south of Boise in the Owyhee Mountains near the historic mining town of Silver City.